Cadillac wants to compete against BMW, Mercedes-Benz, Lexus, Jaguar, etc. but doesn’t have a convertible. Why not? I’d hate to have to buy a foreign car. Robert, your observation is spot on; Cadillac is at a competitive disadvantage by not offering a drop-dop, and needs at least one convertible in its lineup. In fact, it hasn’t had one since the Cadillac XLR was discontinued in 2009. At this point, the vehicle that seems to be the most likely to receive a convertible is the ATS Coupe. The vehicle has been rumored on an on-again, off-again basis even since before the release of the ATS Sedan back in 2013. 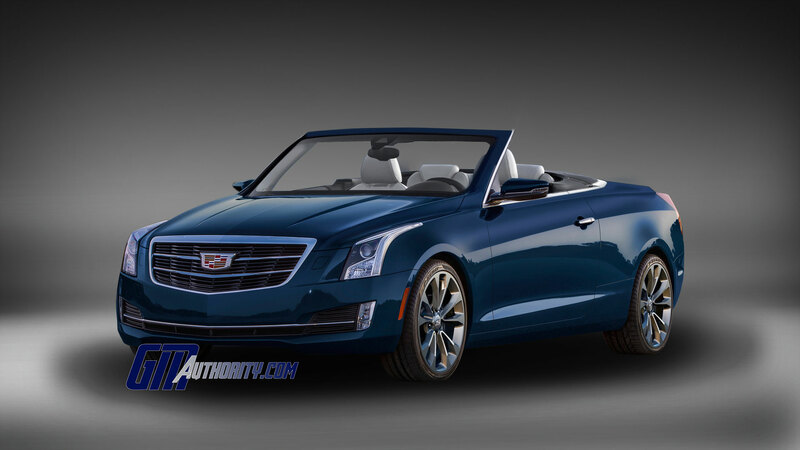 And now that Cadillac has pushed the 2016 ATS-V Sedan, 2016 ATS-V Coupe, and 2016 CTS-V Sedan out the door, we’re hoping that it will turn its attention toward making an ATS Convertible a reality for the 2016 or 2017 model years. Unfortunately, there hasn’t been much confirmation that such a vehicle is the works. In fact, as of this writing, there hasn’t been a single spy shot of an ATS Convertible, or any Cadillac convertible for that matter, undergoing testing. But something tells us to remain hopeful. And that’s the advice we’ll share with you as well. Above and below: we render the Cadillac ATS Convertible. Given the new Camaro shares a platform with the ATS, and is being offered in convertible form, I would imagine that an ATS convertible is moments away. I would hope for a 2017 model before the close of 2016. There really has to be a payback scenario for any new vehicle and not just to be competitive. With that being said, doubt they could move enough of them to justify production. That kind of talk has no place in the luxury car world. How is Cadillac going to successfully compete in the luxury car world if consumers don’t have the luxury of CHOICE? That mindset is perfectly fine when dealing with Buick, but if Cadillac is going to get conquest sales from the Germans, in the future Cadillac needs to compete in almost EVERY segment, including those where Mercedes-Benz or BMW is the only competitor. Cadillac can’t expect luxury shoppers to shell out european luxury dollars while giving them even less options to choose from, including body style. Martin: how many units do you think the break-even is for a variant of an existing model? After all, the ATS vert would be a variant of the ATS coupe with a different roof plus associated NVH and safety systems. The investment to develop it will be negligible, and they will sell every one that they can to existing customers (pent-up demand) and steal some away form the Germans. Other than that, I agree fully with what Curtnik said. Sorry Chris you’re a bit off base on this one. Just because you can build them and sell every one of them doesn’t mean the business model justifies the program. As you know, GM & Cadillac is in an entire restructuring process from top to bottom and that requires significant resources . The Cadillac Division submits a budget request with their wish list of future projects. Upper management reviews it, prioritized their projects and tells them how much they will be allocated. Just because we don’t see one in the current deck of cards doesn’t mean one isn’t in the works for a different model or model year. Capital investments have to be prioritized . It’s not just convertibles, it’s Cadillac’s two-door offerings as a whole. The German rival they should be benchmarking in this aspect is Mercedes-Benz. They have both two-door options (coupe and convertible) for almost every core car, plus a roadster in two different sizes. Cadillac’s problem is that it still offers MODELS instead of LINES. As much as I love drooling at convertibles other people have, you couldn’t actually give me one. I live in California. Our sun is intense. It’s the same one you have but it’s out a lot more often. The absolute LAST thing I need is a thin roof that isn’t so good at fighting off that heat… or worse… opening it half the time to ‘feel’ cool. I’ll feel more like a pizza in an oven. Now suppose you don’t live where I live. You’re in anything East of Phoenix. That’s been getting destroyed with rain, snow, and tornados. Guess how often that top will be open? Not much. And if you’ve been watching the news for that last 4 months… every night… tales of golf ball sized hail. Fun. Maybe neither is your scenario. But maybe you live in a city. The type of city where one knife can open up your nice convertible and provide an awesome test drive. I think a lot of people who want a convertible get a car with a sunroof. No numbers, just a hunch. Well it may be because if it looked like your photo only that Screw Ball from N Korea would buy one. Robert just needs to relax as he will get convertibles soon enough. Between the bail out and the changes with Cadillac’s future to the better things are just a little behind where they would like it. The “photo” you see above is 99 percent what an ATS Convertible would look like… the only possible exception could be the angle of the windshield/rake. Outside of the derision above, you have yet to offer any specific, beneficial, or otherwise useful suggestions on how to actually improve on it. So, feel free to reply or better yet, submit a better version to myself — chris AT GMauthority DOT com. The wind shield is all wrong and a web site like this who likes to do a lot of wishful thinking should higher a teen that is much better at Photo Shop. I am not an artist but I did stay at a Holiday in Express last night, you might rob a little from the 2016 Camaro to get the right proportions. Be honest this really was poorly done. If that is 99% of what you get then you have 99% of this not selling. I think “it’s not the critic who counts” says it all here. Yeah, the windshield might be slightly off angle. Whooptydoo. OMG Chris! You’re clearly some kinda rendering criminal! How DARE you and GMa post a rendered Cadillac convertible that Scott3 doesn’t approve of! That’s a felony in some states. Based upon how often Scott3 reminds the rest of us, he simply knows more about everything. And if he has to resort to some strange racist thing about North Koreans — that’s proof positive GMa’s rendering skills are lacking. Right? As Much as I and anybody else would love to see one, I don’t think its quite as near. Former CTS Coupe and Current ATS Coupe both rely on a B-Pillar for structure (hence a glued-in rear window vs a “hardtop” like the Camaro). I would look for a convertible next gen CT3 or whatever it will be. Doesn’t Cadillac have more pressing, immediate issues? Like turning their business from a sinking ship into a success, before dabbling with a model that might sell 800 a month? (Maybe)? And don’t get distracted (yet) by a drop top. Or go ahead and make some. You’ll be able to find them on dealer’s lots, parked next to the ERVs. How long and how much effort do you think an ATS vert requires? The answer is actually very little, since the majority of the car is already done thanks to the ATS Coupe. All that’s left is the development (maybe even sourcing) of a roof, some NVH and safety components for when it’s down, and maybe some under-body reinforcements (Alpha might not even need them). It’s an easy project compared to something as full-blown as a line of crossovers. So yes, this isn’t as pressing and immediate as crossovers; but it sure as heck is easy. And they’ll sell every single one. 800 a month–never going to happen for a convertible. Maybe 400-500 for a whole year. ATS sales are about 2,000 a month! But then of course, if “daddy” gave you $12B to play with, the skys the limit! I personally am waiting for one. I’d rather a Cadillac convertible than a cascada – but either way I’m planning a convertible purchase by the end of the 2017 calendar year. 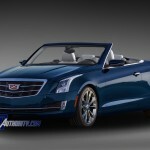 I highly doubt we will see the convertible for the ATS this model cycle but most likely on the successor model. I am not too big on convertibles because the looks of them stationary on the car. I prefer a hard-top convertible top over the soft-top. The hard-top convertible may be more complex to build, puts more weight on the car and take up a lot of trunk space but makes the side profile on a car lot cleaner looking. I absolutely prefer the IS, G and 3 series hardtop convertibles over the soft-top convertibles. Would love some information on the upcoming Buick Grand National. I owned an 1986. I am really excited about it’s comeback.